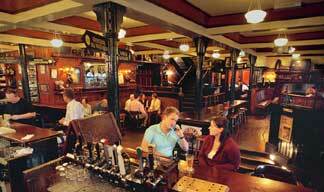 ….situated on the banks of the world famous River Moy in Ballina, County Mayo. Our extensive menus specialise in fresh fish, shellfish, meat and vegetarian dishes and you can savour one of these either at the bar or upstairs in the restaurant. Call in and enjoy the atmosphere of our “olde world” pub and – if you’ve an appetite – sample the many tempting and varied dishes from our Award Winning restaurant. 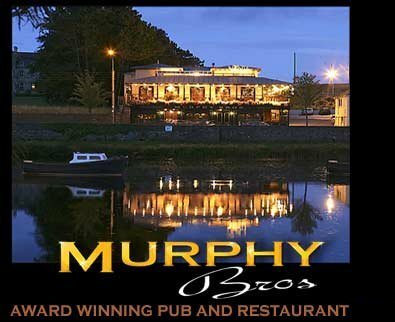 Murphy Brothers has spectacular views over the River Moy from either the restaurant or out on the balcony “al fresco” while you are enjoying a drink or meal.